Since last year, I have made a recommendation to the government concerning conducting a survey on conditions around the world on research into the use of medical cannabis, as well as the need for further research in this area in Japan. Based on the above, my questions are provided below. Question 1(Mr. Hiroyuki Arai; Diet member, the same shall apply hereafter. ): Was there a medical basis in 1948 for stipulating in Article 3 and 4 of the Cannabis Control Act that the research of cannabis by doctors and use by patients be banned? I would like for this point to be elucidated based on the background to the establishment of the Cannabis Control Act. Response 1(The government response, the same shall apply hereafter. ): The Cannabis Control Act (1948 Act No. 124) was established following deliberation at the 2nd Diet Meeting; we understand that the provisions of Articles 3 and 4 of that act were created based on the inability to obtain stable results from cannabis as a medicinal product, the risk of abuse, and the hallucinatory effects it produced. Question 2: Overseas, the medical use of cannabis has been legalized, and there are more countries and regions in which patients can use it. The subject has been widely taken up in the media, such as on television, in newspapers, magazines, and online, with CNN’s medical program broadcasting a report on patients who used cannabis experiencing beneficial effects. In addition, the effectiveness is being researched in a range of clinical trials. Does the government believe there are medical benefits to the compounds derived from cannabis, and whether there are patients who would be saved by its use? Response 2: While the meaning implied by “compounds derived from cannabis” and “medical benefits” is unclear in the question, given that pharmaceutical products used in medical treatment must maintain a standard of quality, efficacy, and safety, and the fact that THC(Δ9-Tetrahydorocannabinol), the primary substance found in cannabis, is abused, and that marijuana has hallucinatory and harmful effects, careful deliberation must be made on the use of marijuana as a medical product. In addition, while we are aware that the “CNN medical program” indicated in the question reported on the use of marijuana in epileptic patients, the American Epilepsy Society states on its official web site that there is insufficient scientific basis for the efficacy of marijuana in treating epilepsy, and it strongly calls for the use of establishment treatment modalities under consultation with a specialist. Question 3: In the 1961 Single Convention on Narcotic Drugs, the preamble states that the use of narcotics is “restricted to medical and scientific purposes.” This implies that the Convention does not prohibit the research and use of cannabis wholesale. For example, United States federal law treats cannabis as a Schedule I narcotic, but research into cannabis and cannabinoids is ongoing by the National Institutes of Health（NIH）. Since my last question at the March 7 budget committee this year into what sort of medical research is being conducted at the NIH and what sort of budget is being used to that end, I would like to know to what has been investigated. Response 3: We are not aware of the details of the National Institutes of Health (NIH) research indicated in the question as “research into cannabis and cannabinoids,” but are aware that the NIH offers research subsidies to researchers within and without the United States. A review of the NIH’s official web site found that it offered subsidies in 2015 to 285 projects concerning research into cannabinoids. Question 4: I would like to know the rationale and basis for why even research by authorized researchers into the industrial and medical applications of cannabis, even under strict rules and management, is rejected. Response 4: Article 4, Clause 1 of the Cannabis Control Act forbids the medical use of products manufactured from cannabis or the exchange of products for such use. However, the license described in Article 5, Clause 1 of the same act can be used to cultivate cannabis for research into marijuana, or the use of marijuana. Question 5: The Ministry of Health, Labour, and Welfare continues to simply respond that research should make use of chemically-synthesized cannabinoids. Cannabis contains over one hundred types of cannabinoids, among them THC (Δ9-Tetrahydorocannabinol) and CBD(Cannabidiol). It also contains several hundred active ingredients like flavonoids and terpenes. For example, THC, which has a psychoactive effect, and CBD, which does not, are recognized as having a decreased psychoactive effect when combined in equal parts. Furthermore, research has shown that the effects are enhanced when multiple cannabinoids are combined with CBD, rather than a single CBD substance. For this reason, research solely into synthesized THC and synthesized cannabinoids, which represent standalone substances, would not represent research into medical applications of cannabis as a multi-compound product. What is the Ministry of Health, Labour, and Welfare’s opinion on the matter? Response 5: Per Article 4, Clause 1 of the Cannabis Control Act, medicinal products manufactured from cannabis cannot be used or exchanged for use. However, Article 3 of the Narcotics and Psychotropics Control Act (1953 Act No. 14) allows narcotics researchers to obtain a license for research and synthesize the compounds found in marijuana at a given proportion to examine the resulting product in a scientific fashion and under stable, controlled quality. Question 6: The World Medical Association Declaration of Lisbon, ratified by the Japan Medical Association, advocates the rights of patients. For example, it specifically describes “the right to access to high-quality medical care,” “the right to choice,” “the right to self-decision,” “the right to information,” and the “right to dignity.” Would the provisions of Articles 3 and 4 of the Cannabis Control Act not represent a clash with this declaration? Response 6: It is unclear what the speaker implies by “a clash with this declaration,” but we have already furnished a reply in Response 1 above concerning the regulations of Articles 3 and 4 of the Cannabis Control Act. Question 7: Given that the Cannabis Control Act is an old act, it could be interpreted to only take into account preventing harm to public health (i.e., the welfare of the group) and lacking mention of rights associated with treatment using cannabis, that is, human rights (the welfare of the individual). Would it be correct to interpret the current Cannabis Control Act as not having presumed the clinical research or use by patients for medical purposes of cannabis? If this is a scope that was not presumed by the act at the time, would this imply that new, additional regulation is needed? Response 7: Article 4, Clause 1, Item 2 of the Cannabis Control Act was formulated based on banning the use of cannabis as a medicinal product, including pharmaceutical products manufactured from cannabis that existed at the time of the act’s ratification. Question 8: For municipalities seeking deregulation from the national government, there is a system in place for demarcating national strategic special zones. This system allows conducting social experiments in advance of changing the act or establishing new regulation. A filing has already been made for a special administrative zone for this subject. I believe that, based on conditions overseas, a special administrative zone should be created for the clinical research of cannabis. What is the government’s opinion on the matter? Question 9: The medical benefits of cannabis are drawing attention in the United States and Europe, with all of the G10 countries, with the exception of Japan, legalizing research into the medical use of marijuana. The treatment is used for a wide range of conditions for which contemporary treatment is insufficient, such as cancer; acute pain and nausea; multiple sclerosis, an intractable neurogenic disease; ulcerative colitis; arthritis; epilepsy and other forms of seizure; Alzheimer’s disease, and other ailments the symptoms of which are not alleviated through standard treatment. By contrast, in Japan, the Cannabis Control Act of 1948, which is almost 70 years ago, forbids the medical research by doctors and use by patients. I am strongly urging the government to consider pursuing in Japan, as other countries have done, research into the medical applications of cannabis and creating a system enabling its use by patients, thereby preventing its misuse. I would once again like to ask the government’s opinion on this matter. At present, the World Health Organization(WHO) has not recognized a scientific basis for the purported benefits of cannabis in a medical context, and it has rated it as having harmful psychoactive toxicity and addictive properties. Furthermore, cannabis is, following stimulants, abused in Japan, and recent research finds that the use of cannabis runs the risk of abuse and dependency on other narcotics. Based on the above, we believe the use of cannabis in pharmaceuticals requires serious and careful consideration, and we will pursue appropriate deliberation on the proposal of installing a national strategic special zone. Re-issuing of Memorandum on Questions concerning the medical research and use of cannabis. In the “Memorandum on Questions concerning the medical research and use of cannabis,” (190th Diet Meeting Question 100), the response received (Cabinet Response 190-100) contained many points that were unclear, so I am submitting a new set of questions. The medical benefits of cannabis are drawing attention in the United States and Europe, with all of the G10 countries, with the exception of Japan, legalizing research into the medical use of cannabis. In May of this year, the German minister of health announced Germany’s plan to allow the use of cannabis for medical purposes. Medical cannabis is used for a wide range of conditions for which contemporary treatment is insufficient, such as cancer; acute pain and nausea; multiple sclerosis, an intractable neurogenic disease; ulcerative colitis; arthritis; epilepsy and other forms of seizure; Alzheimer’s disease, and other ailments the symptoms of which are not alleviated through standard treatment. 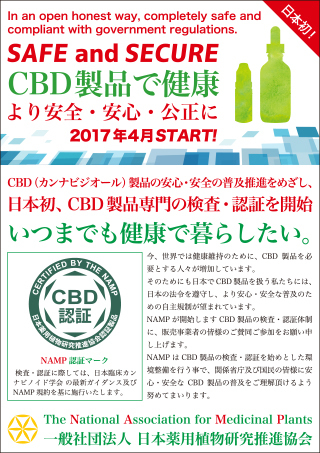 In Japan, there is a need to, as other countries have done, pursue research into the medical applications of cannabis and create a system enabling its use by patients, thereby preventing its misuse. Per the points at right, I have the following questions. Question 1: What was the medical basis in 1948 for stipulating in Article 4 of the Cannabis Control Act that the research of cannabis by doctors and use by patients be banned? I would like for this point to be elucidated based on the background to the establishment of the Cannabis Control Act. Question 2: Overseas, the medical use of cannabis has been legalized, and there are more countries and regions in which patients can use it. Does the government believe there are medical benefits to the compounds found in cannabis, and that there is a possibility, or actuality, of patients who would be saved by its use? Question 3: In the 1961 Single Convention on Narcotic Drugs, the preamble states that the use of narcotics is restricted to “medical and scientific purposes,” so it would seem to imply that it does not ban the research and use of cannabis wholesale. United States federal law treats cannabis as a Schedule I narcotic, but research into cannabis and cannabinoids is ongoing by the National Institutes of Health. Is the above correct? Question 4: I made an inquiry into what sort of medical research is being conducted at the NIH and what sort of budget is being used to that end; I would like to hear the results of this survey. Regarding the questions above, we have already furnished a response (Cabinet Response 190-100, dated April 22, 2016) on Responses 1 through 3. Question 5: Page 46 of a translation by Ministry of Health, Labour, and Welfare on the WHO report entitled “Cannabis: A Health Perspective and Research Agenda” (1997) states that “Further research into the basic neuropharmacogenic aspects of THC and other cannabinoids is needed in order to discover potential better medicinal treatment.” What past precedent is there of use in Japan of national budgets, such as Ministry of Health, Labour, and Welfare research funding and Ministry of Education, Culture, Sports, Science, and Technology research funding for basic research into cannabis and cannabinoids? I would like the government to clarify whether research that would lead to treatment or creation of pharmaceuticals is underway. Response 10: With respect to “basic research into cannabis and cannabinoids” and projects making “use of national budgets,” between 2009 and 2011, a project receiving subsidies from the Ministry of Health, Labour, and Welfare entitled “Development of new treatment modalities based on pathophysiology and for the alleviation of cancer-related pain and other ailments” contained research into dronabinol, a type of cannabinoid. The Ministry of Health, Labour, and Welfare is of the understanding that this research was launched in order to develop new treatment methods. Question 6: Recently, the WHO has been issuing reports that separately distinguish between the non-medical use of cannabis for public health and the medical use of cannabis. What is the government’s take on reports that make this distinction between non-medical and medical use? Response 11: We are aware that the World Health Organization has respectively issued a document on the non-medical use of cannabis last year and on the medical use of cannabis this year. Of these, we understand that the document on the medical use of cannabis explicitly states that opinions therein are those of the authors and do not represent a decision or trajectory by the WHO itself. For example, THC, which has a psychoactive effect, and CDB, which does not, are recognized as having a decreased psychoactive effect when combined in equal parts. Furthermore, research has shown that the effects are enhanced when multiple cannabinoids are combined, rather than a single CBD substance. For this reason, research solely into synthesized THC and synthesized cannabinoids, which represent standalone substances, would not represent research into medical applications of cannabis as a multi-compound product. What is the government’s opinion on the matter? Question 8: I have sought that Japan takes scientific and medically informed initiatives to examine the medical benefits offered by cannabis as a natural remedy and not as a synthesized product. I would like to ask once again whether the government does not recognize this utility or need. I am seeking a clear response on the matter. Regarding the question above, we have already furnished a response in Response 5. Question 9: The Cannabis Control Act in Japan bars the use of leaves and spikes, so CBD oil, considered “industrial cannabis,” which is extracted from stems and seeds and contains under 0.3% THC, is being imported from overseas. Research by the American Food and Drug Administration (FDA) has found that the quality and indications of some products is lacking. At a House of Councillors budget committee meeting on March 28 of this year, I asked the Minister of the Ministry of Health, Labour, and Welfare about this issue, but I will reiterate it here: Japan currently has no organization to inspect the quality of imported products and guarantee their quality to consumers. I believe we need to take measures to achieve proper inspections in Japan as soon as possible. What is the government’s opinion on the matter? Response 13: the CBD oil mentioned is produced from the stems of mature cannabis and seeds from cannabis, and does not contain Δ9-Tetrahydorocannabinol, generally considered to be a narcotic substance, so we understand it is imported for purposes such as use in food. 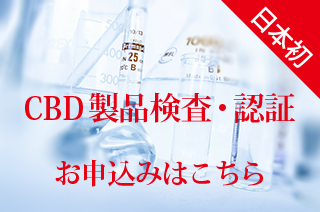 While the specific use of such imports is unclear, there is no system in Japan to individually inspect the makeup of each imported food product and guarantee its quality. We believe it would be difficult to inspect products solely for the CBD oil mentioned and make guarantees as to the quality therein. Does Article 4 of the Cannabis Control Act not represent an issue vis-a-vis the Lisbon Declaration? What is the government’s interpretation of the matter? Question 11: Given that the Cannabis Control Act is an old act, it only takes into account preventing harm to public health (i.e., the welfare of the group) and lacks mention of rights associated with treatment using cannabis, that is, human rights (the welfare of the individual). Would it be correct to interpret the current Cannabis Control Act as not having presumed the clinical research or use by patients for medical purposes of cannabis? If this is a scope that was not presumed by the act at the time, would this imply that new, additional regulation is needed? I would like the government to clarify its opinion on this point. Question 12: For municipalities seeking deregulation from the national government, there is a system in place for demarcating national strategic special zones. This system allows conducting social experiments in advance of changing the act or establishing new regulation. Based on circumstances overseas, I believe that the medical research of cannabis is a subject in which synthesized compounds should not be used, but rather special administrative zones created and implemented for the testing and research of cannabis. I am seeking a proactive response from the government. What is your take on this? Regarding the questions above, we have already furnished a response in Response 6 when responding to Responses 8 and 9.